Every British Marching Regiment had 10 companies. These included the Grenadier Company, 8 Battalion Companies, and a Light Infantry Company. The Light Companies were intended to act as skirmishers and to protect the flanks of a regiment. 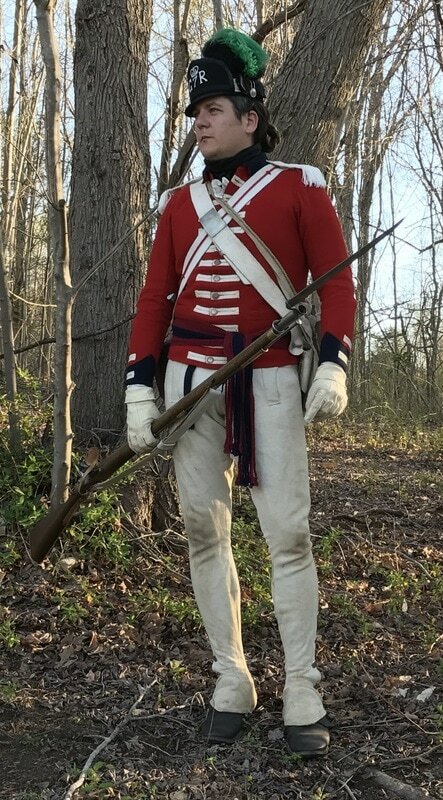 In America, the Light Companies, like the Grenadier Companies, were typically stripped away from their regiments and combined into Light Infantry Battalions. These special battalions saw the bulk of the action as they were composed of the most active, agile men and the regiments' best shots. The uniforms of the "Light Bobs" were significantly different from those of the Grenadier and Battalion Company men. One of the unique features of most Light Infantry Company uniforms was a red wool waistcoat with laced buttonholes rather than a plain white wool one. 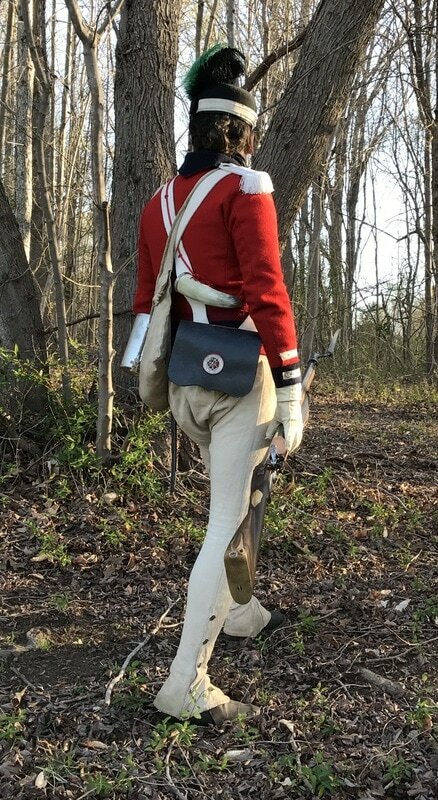 From about 1777 through 1781, it is documented that the uniforms of the Light Infantry were further modified by removing the sleeves from the coat and attaching them to the waistcoat during the summer months. This provided the men with a much more practical uniform. Shortly after it was decided that the 7th would be rebuilt, rather than drafted, in May of 1777, Lord Bertie purchased new uniforms, hats and accoutrements for the Royal Fusiliers. While the royal warrant stipulating the accoutrements of Light Companies would be composed of blackened leathers, many colonels, including Lord Bertie, began adopting white belting for their regiment's Light Companies. Here we see how the 3 sergeants of the 7th's Light Company likely looked during the warmer months of 1777 through 1781 while on campaign.